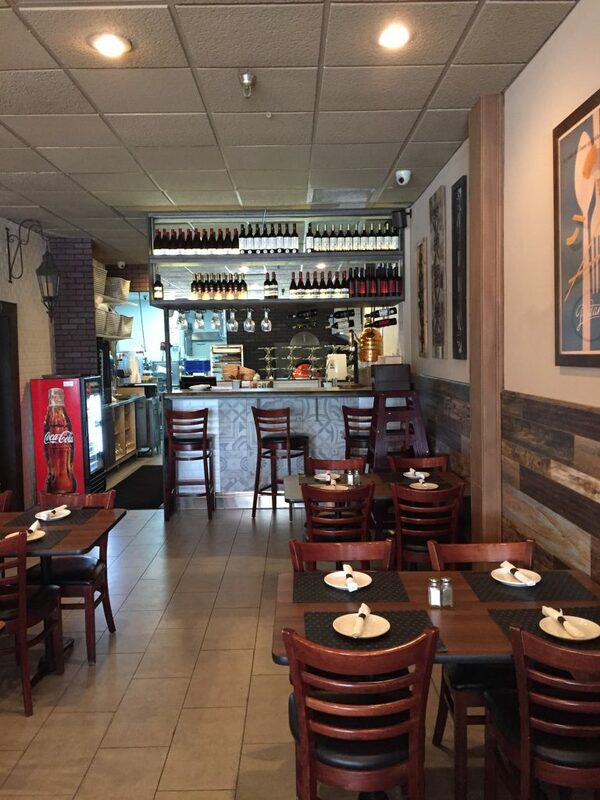 My friend Seth contacted me the other week about a new pizza place named Padano Gastro Bistro that opened up in The Shoppes At Loggers Run all the way out where Boca Raton seems to meet the everglades. I seldom, if ever go all the way out to this long shopping center, and seldom see many businesses survive being so isolated out there. Mama's, that used to occupy the space is a perfect exampleSeth wanted to go and try it out so we set a date and began our journey. 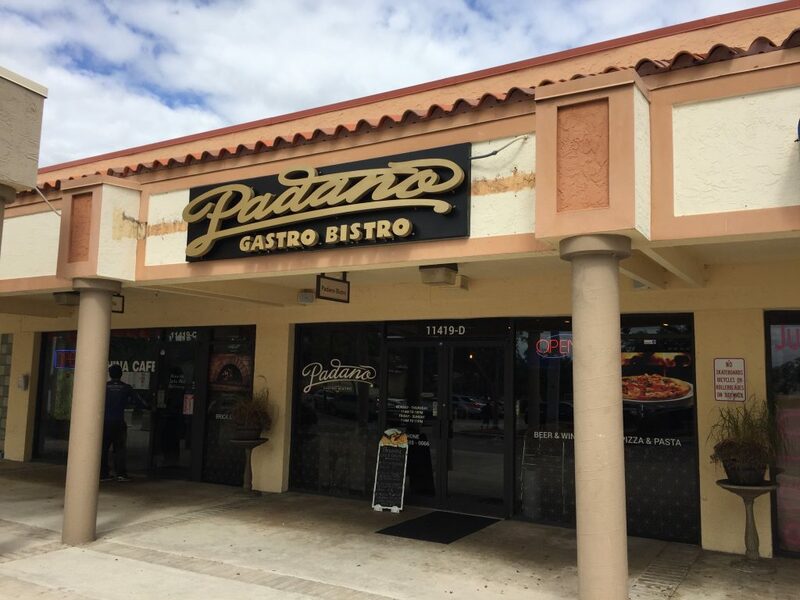 Padano Gastro Bistro is actually a pizza place in West Boca Raton, and although they have a fancy name, they would have been better suited just being Padano Pizza. We were the first customers in this day, so the manager greeted us and started to tell us a little about the place. He was extremely friendly and passionate, I was hopeful this passion would translate into the pizza. I ordered a $13.99 napolitana pizza and I forget what Seth got, but he got a different pie than I did. 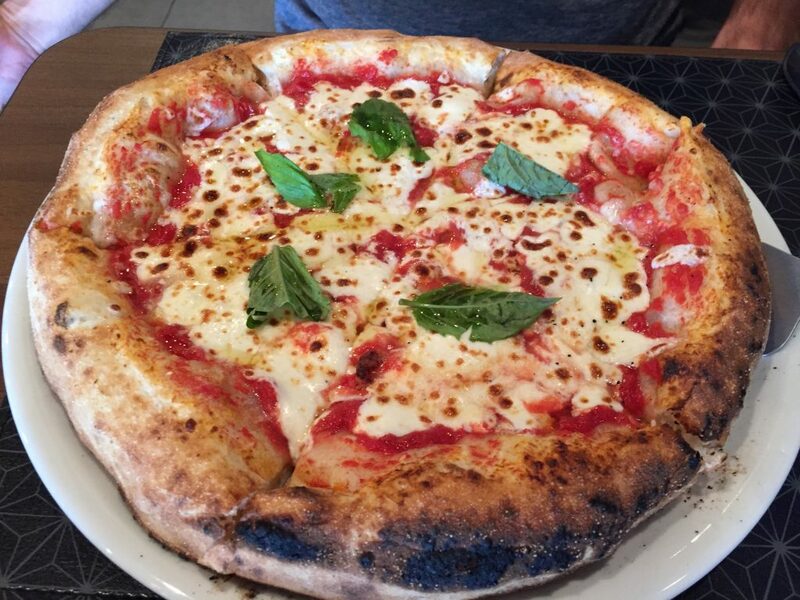 Maybe it was a margherita pie. While we waited for our pizza to come out of the wood burning oven, the manager gave us the entire history of Padano, and their Brazilian ties. I think he mentioned they have two more places, one in Italy and one in Rio de Janeiro, Brazil. He taught us about tomatoes and how Italy has changed throughout the years and how it will continue to become less "Italian". After a little while, he went to the back and came out with this bread appetizer that was extraordinary. Even looking at this photo gets me salivating to try it again. I went through this almost by myself and actually considered ordering another, when the manager brought me out a box and said, "here is one to take home, since you seemed to enjoy the bread so much". Now onto the pizza, since that is what we are all here for. When the pizza at Padano arrived I could tell it was not cooked evenly. The side closest to me was overcooked and the opposite side was a little under cooked. If the crust was anything like that crust on the bread above though, I knew I was about to have a heavenly slice. 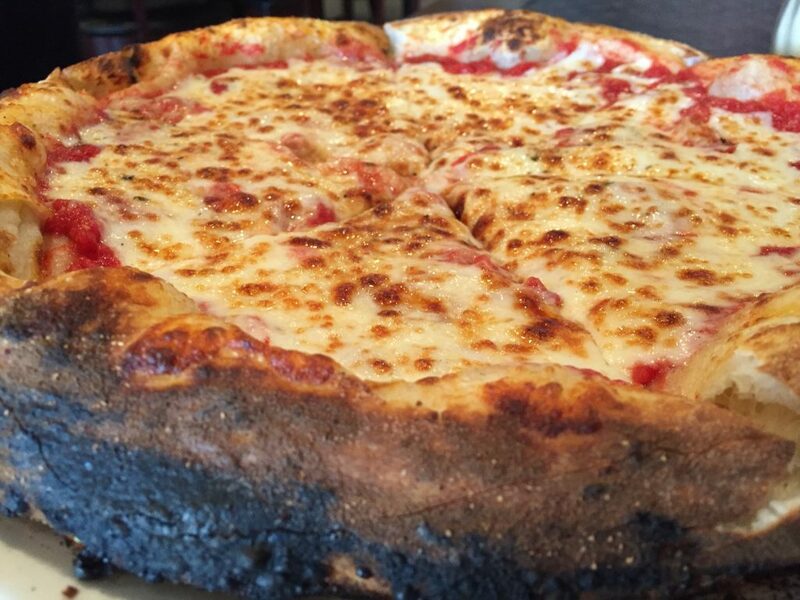 Although the crust tasted good, and the cheese seemed to be a quality blend, I just didn't love the sauce here. The sauce didn't have much taste to it and contained too many chunks, which my regular readers will know I dislike. The slice was not as heavenly as I thought it would be. The crust underneath wasn't cooked too much compared to the edges, which was a good thing, but it was also a bit undercooked on the side that wasn't fully cooked. Since I live a distance away, and it wasn't as good as I hoped, I probably won't be rushing back to Padano Pizza in the near future. If I happen to be out those ways, I will try the rodizio pizza special they have. 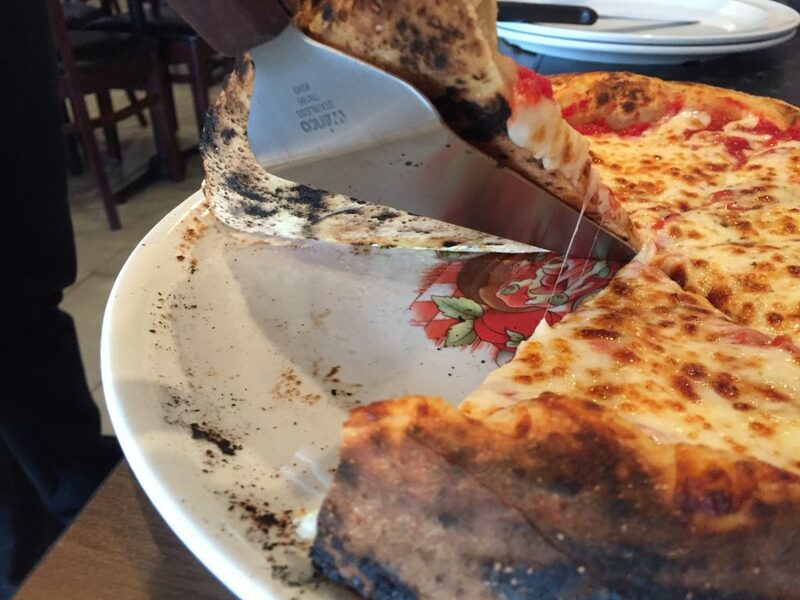 Rodizio pizza is similar to the way Brazilians serve steak. They come around and just keep offering food to your plate. A reader tells me that the pricing on the rodizio is $13.99 for adults and $7.99 for children. That is pretty affordable for what you get here. 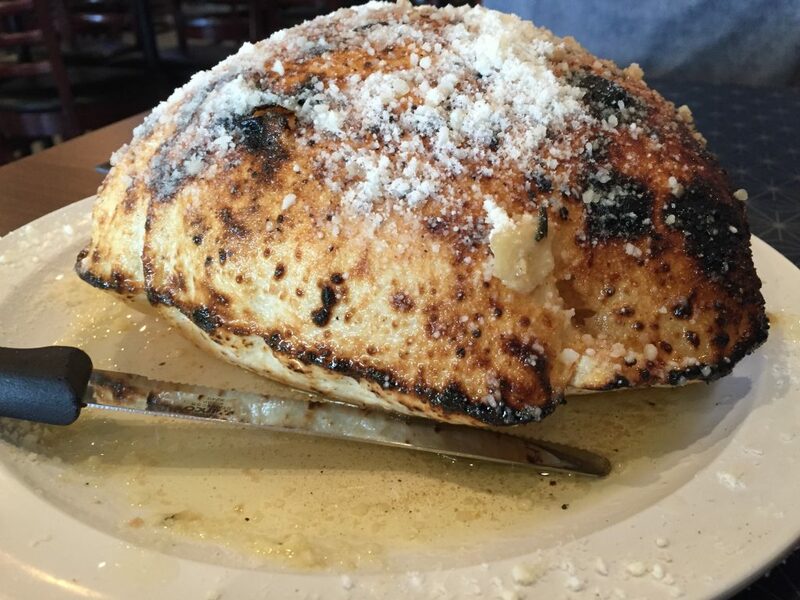 All-in-all, I really hope Padano Gastro Bistro learns from mistakes and makes the necessary changes to survive. They were a great couple of guys working there and I wish them nothing but success. 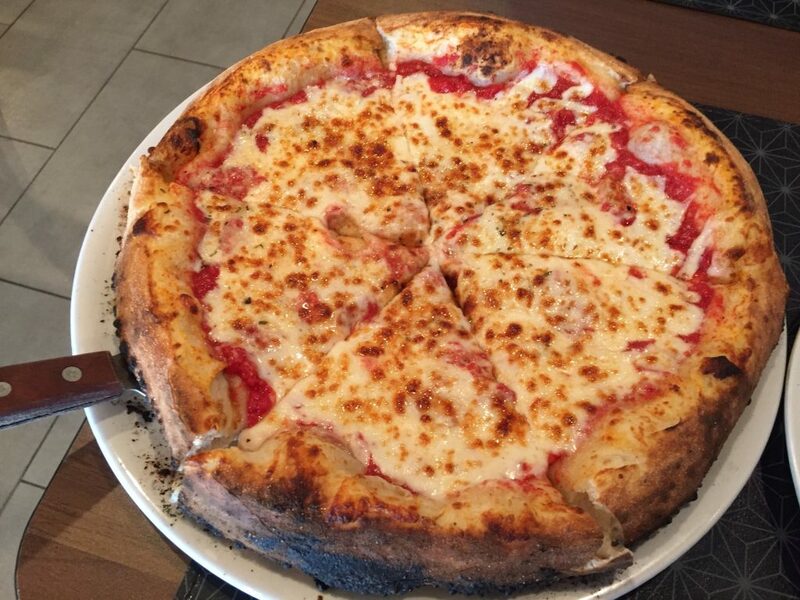 Padano Gastro Bistro in Boca Raton gets 5 out of 8 for their pizza.